Ordering in quantities of 10 or more? For wholesale pricing, our minimum order quantity is 10 pieces of either the Regular or Mini Size Potato Baking Bag. (or a combination of the two sizes) Once this minimum is met, you can order as few as one or more of our other products in the same order and receive a discount on them as well..
Our web site is not set up for the discount pricing, so you will need to contact us to place your order. Contact us at sales for discount prices and shipping information! Sell the Bag in Your Store! 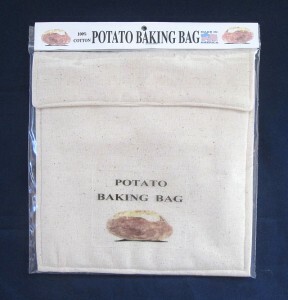 The Potato Baking Bag is perfect for sales in a gift shop, flower shop, or grocery shop. We can supply you bags at a substantial discount in quantity. Each bag comes packaged with instructions, cooking tips and has a top hanger card for easy display on a retail rack. Email us at sales for complete details! 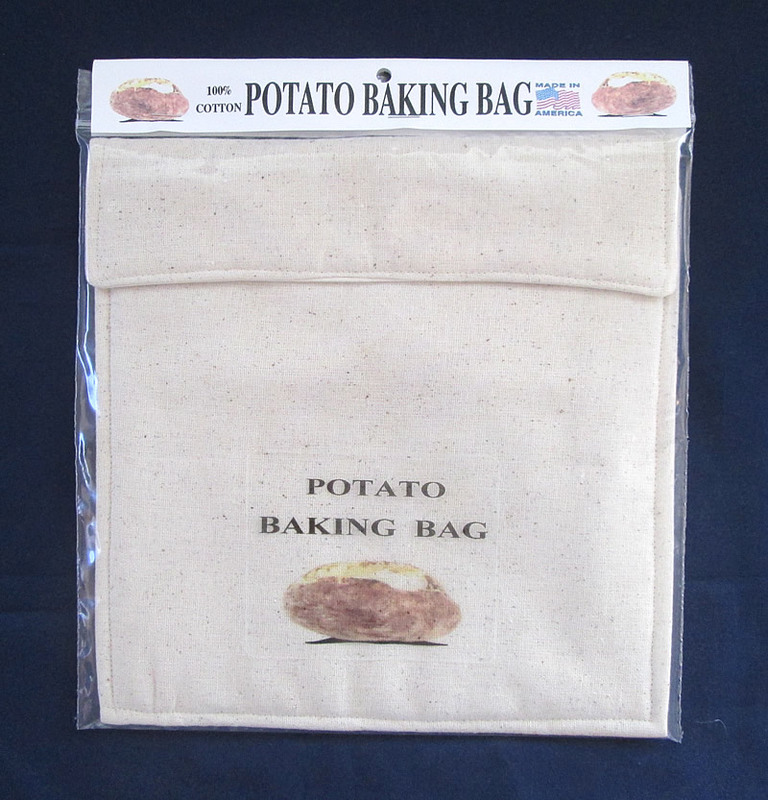 The Potato Baking Bag has proven to be a great seller at craft fairs, etc., and can be a great way for your church or other group to raise funds. We can sell you the bag in quantities at a discount. And we can put your church or school logo on the bag! Email us at sales for complete details!